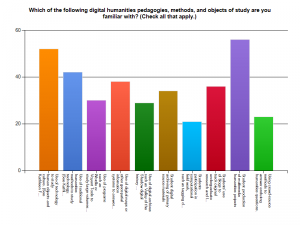 I sent notices out to humanities departments across the country, including Lane. 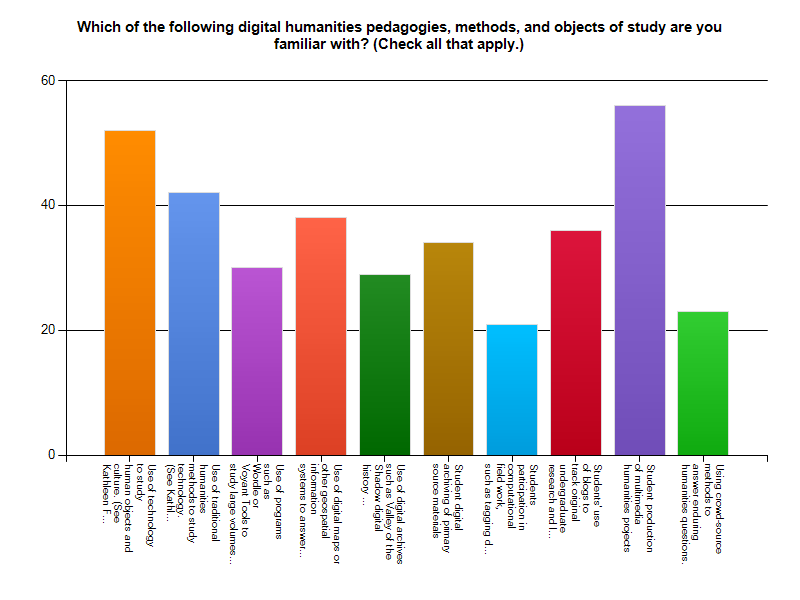 The aim of the survey was to develop a picture of the role that digital projects, digital pedagogies, digital archives, methodologies, rhetorics and tools play in the pedagogical practice and professional lives of community college faculty and instructional staff. 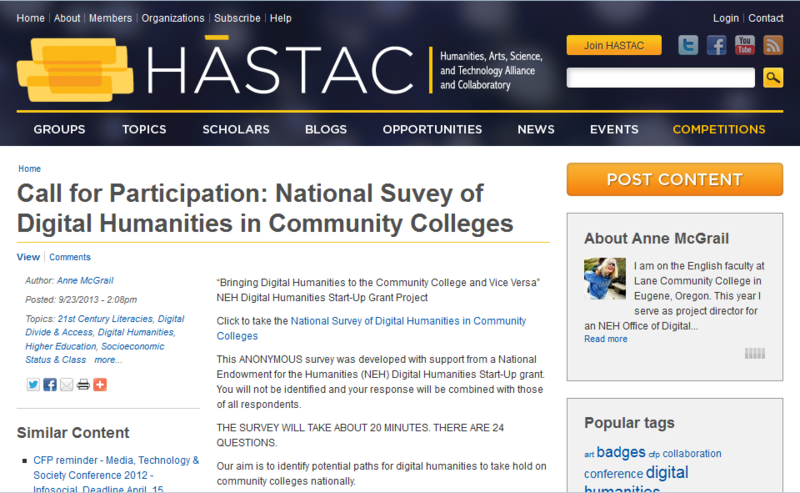 The ultimate aim of this project is to develop a national community of practice in digital humanities at community colleges in the U.S.
Click on this link for summary survey data from the Fall 2013 National Survey of Digital Humanities in Community Colleges, a project sponsored by the National Endowment for Humanities Office of Digital Humanities Start-Up Grant. This entry was posted in Bringing DH to the CC on February 3, 2014 by Anne McGrail.